Let's start talking about next season. Anything to get the thought of last night's Super Bowl out of our brains. The NFL may have left a sour taste in our mouths after a snoozefest of a title game that ended with the Patriots winning yet another championship. This team has won three titles in the last five seasons, but this reign of terror could end as soon as next season thanks to the league's MVP. 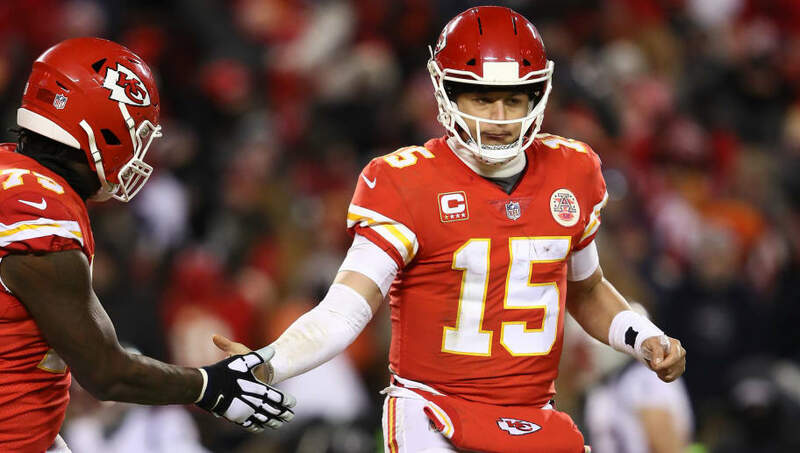 Patrick Mahomes and the Chiefs are favorites to win the 2020 Super Bowl. Just having Mahomes and the Chiefs representing the AFC would be a breath of fresh air. It's hard to bet against New England considering they've been to the Super Bowl in four of the last five seasons. If anyone can take them down, it might as well be Mahomes, who capped off his first year as a starter by winning MVP. This Chiefs team was a play away from making the Super Bowl this year and can only expect better things with a young offensive core. This is what Mahomes was talking about when​ he said this is only the beginning. He has a title on his mind and is now the favorite to bring it home.